SmashUp, one of the flagship events of TiE Mumbai was held at ISDI ACE, Lower Parel over the weekend. In the last 7 years, SmashUp has brought together new and aspiring entrepreneurs to exchange ideas and boost peer learning from successful entrepreneurs. SmashUp is a platform where ideas mature into action plans inspired by stories of successful as well as not so successful strategies. The main highlight of the conference was Smasher Award – a Spot funding platform created by TiE Charter Members, wherein six shortlisted startups pitched for a grand prize of $40K (~ Rs 25 Lakhs). Each StartUp was given 15 mins with the investors (5 mins to pitch, 5 mins Q&A and 5 mins to discuss the details of funding). This year, the Smasher Award was bagged by a startup called IPHawk. It was funded by Sanjay Mehta, Dewang Nerella and other TiE Angels. The group of angel investors will become mentors and open doors for the StartUp rather than just passive investors. Founders of Purple Squirrel, TinyOwl – Saurabh Goyal, Taskbob – Assem Khare, Zimmber – Anubhav Goel participated in a session called ‘StartUp Tales: Starting the 2nd Innings’ where they narrated their struggles, challenges in starting a venture, guide to raising the first million, surviving the first year after fund raising and finally the process of shutting down. 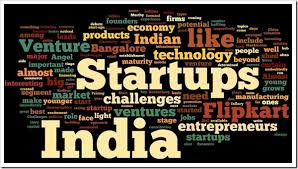 Situations related to investors, staff relations and reasons for calling it quits which have never been spoken in open forums were discussed by these daredevil founders.